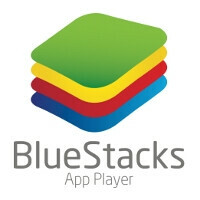 The BlueStack software that allows you to run Android apps on your computer marked a major milestone with 5 million copies installed on various devices. Moreover, BlueStacks Engineer Deepak Sharma, mentioned nonchalantly: “We are considering offering BlueStacks for Windows RT next year.” Not only that, but Microsoft support people are apparently suggesting to Surface RT customers that the hundreds of thousands of Android apps are coming for their tablet down the road under the form of a BlueStack port. If and when a BlueStack environment is released for the Surface RT and other slates running Microsoft's newest OS for ARM-based devices, there is the lingering questions whether Microsoft will allow it in the Windows Store, too, as that might preclude many developers from bothering with Wiindows 8/RT apps at all. This would be awesome. I love bluestacks. This will certainly take away from the "windows aint got no apps" even though it's not true in the first place. Just like meego and nitdroid. Windows and bluestacks are the perfect complement. I might even go as far as saying like mac and bootcamp and linux and wine. hmm I have not read any reviews on the bluestacks Android to Windows app folks but if it works Wow what a great App for Windows Computers IT would be make all the Microsoft "Surface" Tablet computers would have the lack of Apps condition made non existent. Folks rumor has it that the Microsoft "Surface Pro" Windows 8 Pro computers and it's Store APPS only running Microsoft "Surface RT will be sold at other locations other than Microsoft's Online site and it physical stores. it's pretty neat, i just wish it was based on Android 4.1/4.2 and i wasn't able to get Google Maps Navigation going.